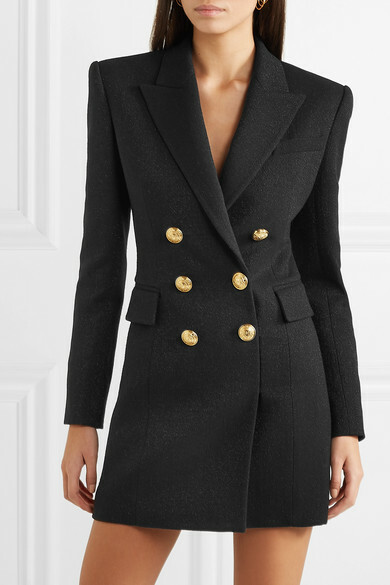 Blazers with strong shoulders are one of Balmain's hero pieces and they're worn by the likes of Beyoncé, Kendall Jenner and Rosie Huntington-Whiteley. 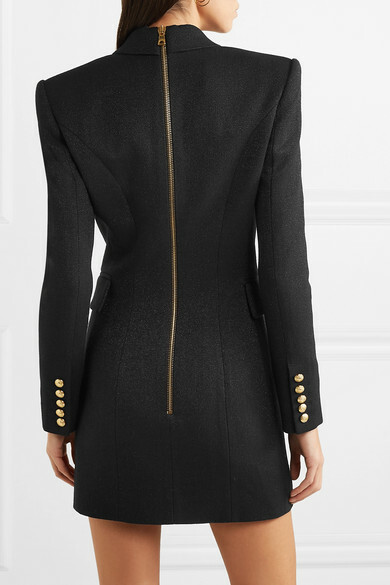 This mini dress is tailored like one of them but sewn shut at the skirt hem. 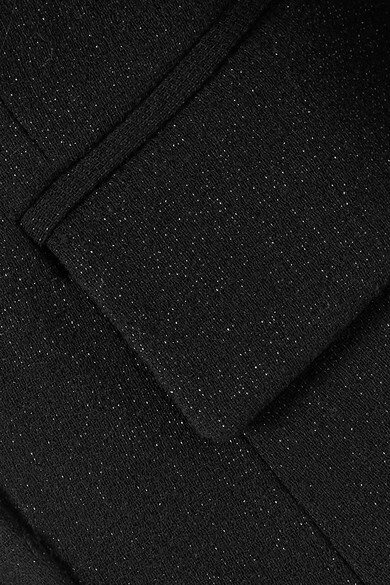 It's been made in Italy from soft, slightly stretchy wool-blend in black that's flecked with shimmering threads. 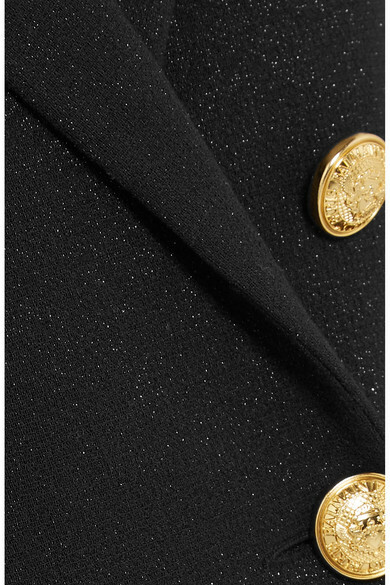 Match any jewelry or your sandals to the signature gold crested buttons. Shown here with: Givenchy Shoulder bag, Alexander Wang Pumps.